The following is an excerpt from, and comments on, an interview with Donald McRae, the author of Dark Trade: Lost in Boxing, and ten other books. The interview was conducted by Patrick Connor, the host of the Hannibal Boxing Podcast. Listen to the full podcast with Donald McRae on iTunes, SoundCloud, or Spotify. Dark Trade: Lost in Boxing became essential reading for informed boxing fans shortly after it was first released in 1996. The book is a tour de force that exposed the underbelly of boxing to many fans, and to some pundits as well. Now, with three acclaimed books looking at the sport already published, and a fourth on the way, Donald McRae is particularly well suited to discuss the state of boxing literature, past and present. When Dark Trade was first published, boxing had clearly fallen out of public favor in the U.S. Mike Tyson, yesterday’s wonder, entered the apparent twilight of his career following his release from prison and the sport had largely disappeared from free television. Two decades later, a surge of new concepts, technologies, and apps—newfangled as they may be—could potentially spark new interest in boxing in the general public. Many of the greatest writers of the twentieth century wrote about boxing. If not exclusively, but significantly. In only a fifteen-year span Mailer, Oates, and Plimpton all published some of their best work, and it was about boxing. 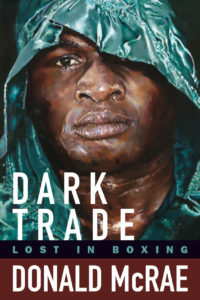 Similarly, Dark Trade became a must-read book for any serious fight fan shortly after its publication, and McRae too was recognized as a formidable storyteller as a result. But where the masterworks of other writers tended to stay encapsulated, developing a sort of nostalgic patina, the U.S. publication of Dark Trade by Hamilcar Publications not only invites a new group of readers to examine it two decades later, it’s updated with coverage of some familiar names, such as Floyd Mayweather, Jr. Despite the importance of the major fighters Dark Trade focuses on—Toney, Tyson, De La Hoya, Holyfield, and Hamed—the updated version provides insight into fighters at the lower level of the sport, who can be just as relevant. The 2016 fight that ended in the death of Scotland’s Mike Towell (in a fight against Welsh welterweight Dale Evans) was not a particularly notable event before the first bell rang. But any bout where one fighter survives and the other doesn’t adds to a grim list of ring tragedies that goes back to the birth of the sport. The interview with Evans in the final pages of the updated version helps affirm the book’s theme that boxing, despite its brutality, is ultimately good. While Dark Trade reflects a love of boxing as much as any boxing book published in the last few decades, what sets it apart is its ability to allow the reader to understand that love. And to understand that fighters are indeed human, and not a pantheon of unassailable heroes. 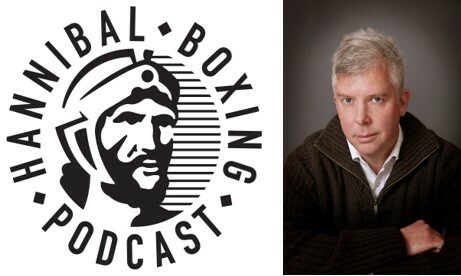 During his appearance on the Hannibal Boxing Podcast, McRae offered a glimpse into his love for boxing and writing about it, how Dark Trade came to be published in the U.K. and again in the U.S., and much more. You can listen to the full podcast with Donald McRae on iTunes, SoundCloud, or Spotify. Click here to visit the Hannibal Boxing Podcast page.